Please check the Character Directory before submitting to avoid duplicate requests. Could you (or I) type Cheren from the Pokemon Franchise? I have him as an INxJ. Could you please type Ai Haibara from manga Detective Conan? Thank you. Can someone type Akisame Kōetsuji from Kenichi: The Mightiest Disciple? I recommend using manga as source when typing him. Thanks in advance. Can some on type Akisame Kōetsuji from Kenichi: The Mightiest Disciple? I recommend using manga as source when typing him. Thanks in advance. I’ll add him to the list. How about (the important) characters from the Tron franchise? I’ve been burning to know what type Tron/Rinzler, Quorra, CLU and Flynn’d be. But the whole franchise is filled with interesting characters. You should really check them out. Maybe additionally from Tron Evolution… Radia and Jalen/Abraxas. Again, you can type them if you want. I would like to request to type Death Note’s Light Yagami and Code Geass’s Lelouch. Thanks! You could type Hannibal and Will Graham from series? There are many debates about INTJxINFJ and INFPxINFJ. Oh hello, sister :) Ring me up later and we can talk? Have you seen the TV show Grimm? It’s really good. I think you’d like it. It’s based on Grimm fairy tales with people called Wesen who sort of shape shift into fairy tale esque creatures, like a Blutbad who turns into a wolf creature or a Hexenbiest who turns into a witch creature and uses telekinesis. The main character Nick Burkhardt is a Grimm, or someone who can somehow see these people when they aren’t woged, or haven’t changed. I think it’d be cool if you typed him. I tried to but I can’t figure him out. I haven’t seen it, but somebody just recommended that to me the other day. I’m not taking requests at the moment, but I will add it to the queue so that a guest typer can have a go. Hi, I hope and wish you are doing better. I need some help, tips and guidance, from you about my research study. I want to find out personality types of characters in a novel and then describe how these characters are different or similar to each other in the light of MBTI personality types. I’m not going to lie and say that I’m doing better, but thank you for the wishing. My advice to you is to read what I’ve already written on this blog. Was James Dean an INFP ? Would please type the character named Murdock (from The A Team show)? Unfortunately I’m not taking requests at present. Isn’t this the place to request a character that is not already on the directory? I asked if I could type Samwell Tarly from A Song of Ice and Fire and you told me to request here. I’m not sure if I’m just being stupid but since he’s already on the list and I’m asking to do a guest post I’m not sure if this is the right place. Requesting a character for ME to type happens here. If YOU want to type a character, that happens on the “Character Directory” page. However, just this once, I will accept here. Samwell Tarly is now claimed for you on the directory page. If you do a character from a book that has been made into a movie, is your analysis based on the book or the movie, or both? I have noticed that a lot of movies change the character somewhat so it’s dramatic on the big screen. Unless specified, those characters will be typed based on the books. 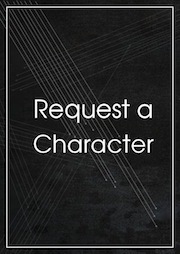 I may have made a mistake by typing out a request for characters on the request policy page instead of this one. Just wanted to make sure it hadn’t gone unnoticed. Thank you.